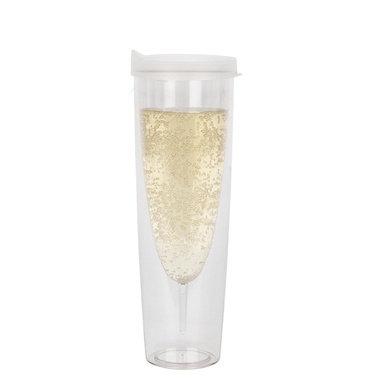 Outdoor champagne tumbler with clear white lid. Prevents spills and broken glass. Perfect for outdoor patio and pool, camping or picnics. 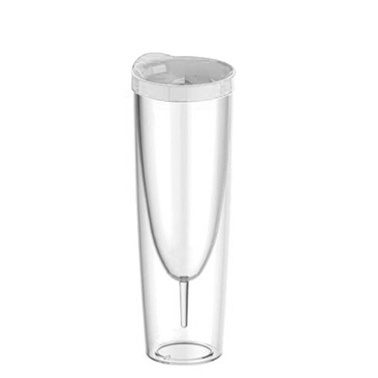 Double wall insulated and BPA free.